Ms Marian Barry BA (Hons) PGCE, RSA Dip, Dip Hyp, AQA CERT Couns, NLP, Time Line Therapist Professional Associations: ALCS, UKGHE, IFL, UCU and AQA Couns. Marian Barry is an advanced UK clinical hypnotherapist, international trainer and bestselling author but she grew up with low self-confidence. When her first book was published, she could not bear to open it: someone else had to do it for her. It was a life crisis that led her to hypnotherapy. She says, 'For some unknown reason, a little voice inside urged me to try it.' It changed her life. Marian says, ' I decided I wanted to transform the lives of others too.' Recently, Marian was a key note speaker in Guangzhou, China; Muscat, Oman; and Brisbane, Australia. Marian's powerful brand of therapy techniques can be instant and permanent. Her clients include well-known public figures, but she is insistent that hypnotherapy is for everyone. Marian offers customised sessions (from one to four hours) specially tailored to client needs, including public speaking, confidence issues, phobias and addictions. Two to three intensive sessions are the average for success. Marian's innovative, inspiring methods work because they eradicate the problem in the unconscious mind where irrational behaviour is rooted. Marian is an associate member of the Royal Society of Medicine. 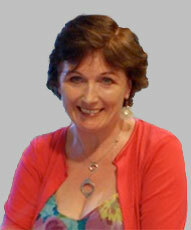 Marian was awarded GHP Hypnotherapist of the Year - East of England this year. Marian also sees clients for many other issues. Please enquire for further details.